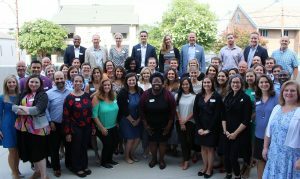 CREW Upstate | Congratulations CREW Upstate Members selected for Leadership Greenville! Congrats to CREW Upstate President, Lisa Dwight, and members Ramona Ferrell, and Jenna Bradley! All were selected to participate in The Greenville Chamber’s Leadership Greenville Class 45. Participants were selected based on a thorough application process including essays, professional resume and community involvement. Way to go ladies!